This is a round Golden West Oil Company porcelain sign. 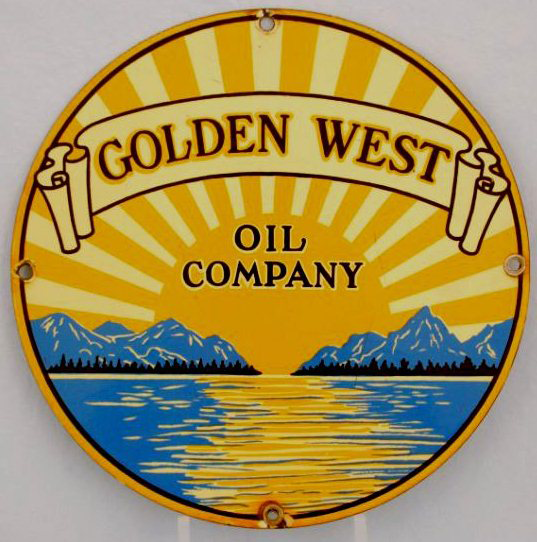 This particular Golden West Oil Company sign features a yellow sun setting behind blue mountain peaks overlooking a lake. It reads, “Golden West Oil Company”.